The annual membership meeting of the Edward L Rose Conservancy was held at the Alumni Center of Binghamton University. Highlights of the meeting included reports on Land Use, the Butterfly Garden and on the monitoring of the local environment by the Cornell team. After the meeting there was an amazing presentation of Raptors by Andrew Schmalfuss, Deanna Myskiw, Sarah Kramer, and Rolfe Radcliffe from the Cornell University Raptor Program. 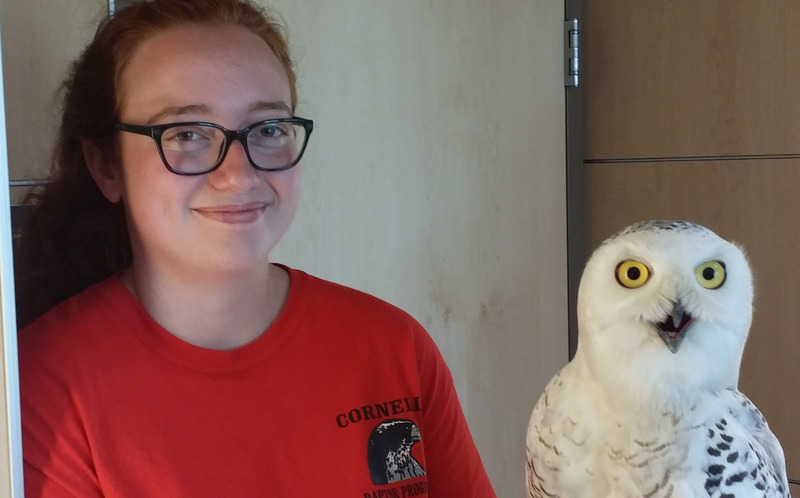 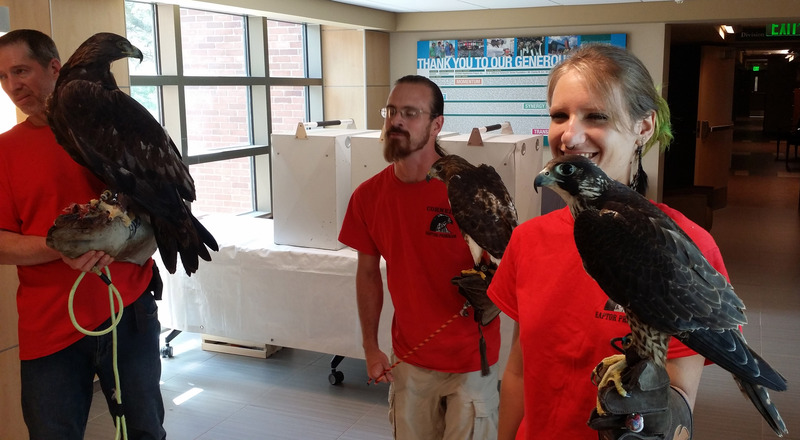 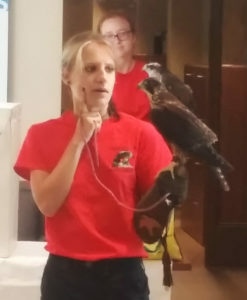 They introduced a Red-tailed hawk, a Northern Goshawk, a Peregrine Falcon, and a Snowy Owl. The birds were amazing and the Cornell team provided background stories on the recovery of these birds, the value of Cornell program to the raptor populations, and about the unique adaptations to hunting for prey, flight behaviors, and specialized features of these magnificent bird species. 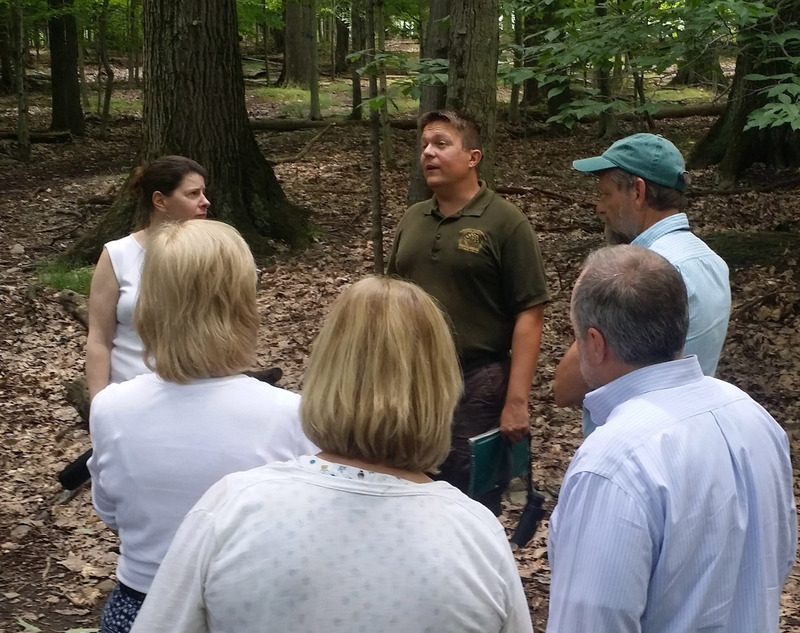 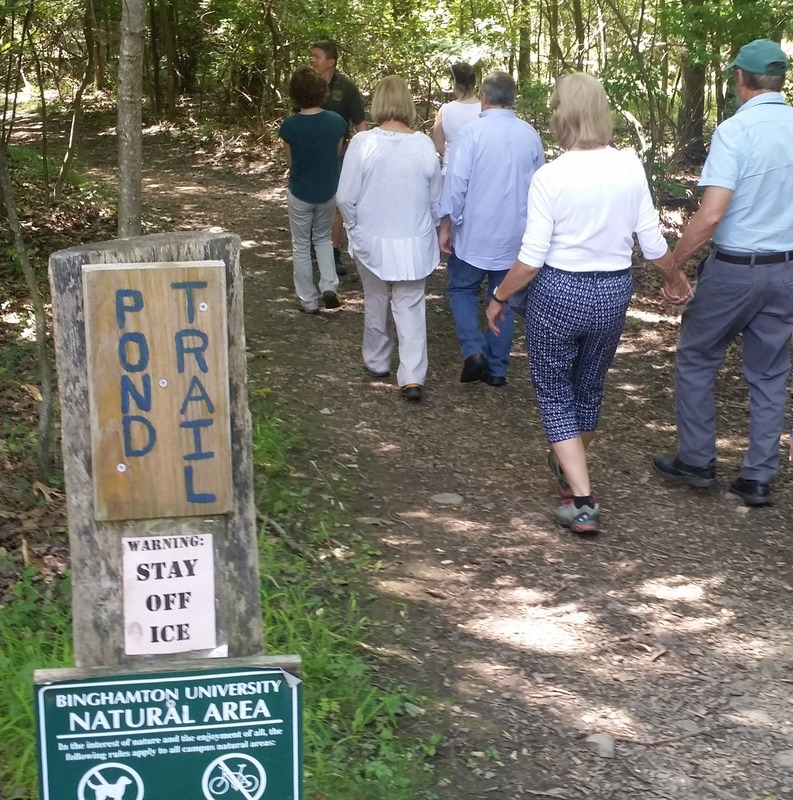 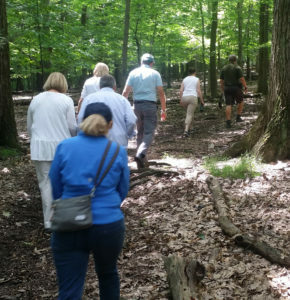 After the meeting, Dylan Horvath, from Binghamton University, (BU), led a walk through the BU Nature Preserve. 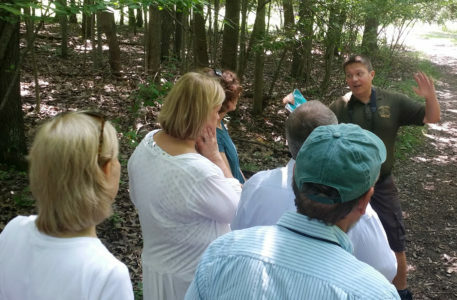 Dylan was very knowledgeable about the history of the preserve, the value of the natural space the the students and the University community and to the local environment. 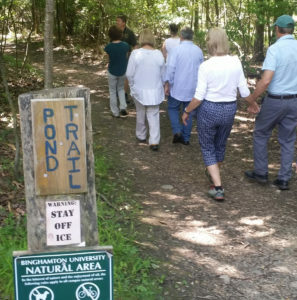 He had many interesting stories of encounters with animals in the preserve, from the many deer to beavers, fishers, and many migrating bird species.